N Street Village is an empowering non-profit organization. 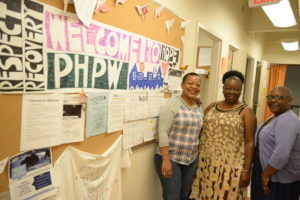 For over 40 years, they have been providing help to the homeless and low-income women in Washington D.C. in the form of housing, food, health, and career services. As of this year, they are now the largest provider of housing and social services to women in the D.C. area. Originally, N Street Village only had one location and a staff of around 40 people. Today, they have expanded to five locations and a staff of over 130! That’s 3.25x growth in six years. 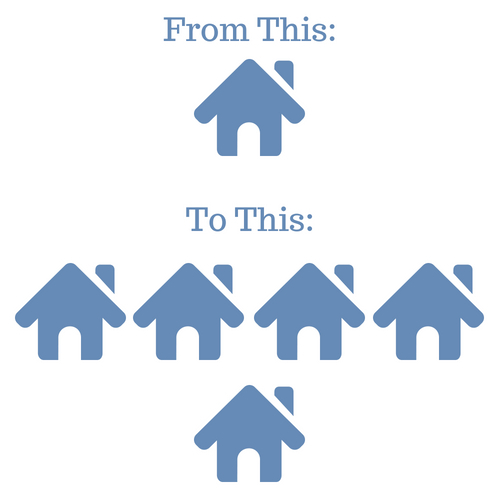 N Street Village has been able to house 2x the amount of women they could before and serve over 2,000 women per year. As amazing as that growth is for the community, it comes with its own set of challenges. One such challenge was the opening of the Patricia Handy House in 2016. This expansion alone would double their staff virtually overnight. Tim Fretz, the Director of Operations for N Street Village, thought the answer was simple. To get the Patricia Handy house up and running as quickly as possible, they needed fifteen computers Immediately. So, purchase the fifteen computers. When Tim called us to fill an order, we wanted to get to the root of why he needed them. We had been working with N Street Village for eight years now, so, were familiar with their system as a whole. When Tim explained that they needed the new computers because they were expanding to a new location with 40-50 new staff members, we realized this wasn’t going to be an easy, “plug it in the wall” solution. N Street Village needed to rethink their server structure before they added that amount of people to their network. To make this expansion go as smoothly as possible, N Street Village was going to have to change the way they do remote access. At first, We had N Street Village set up with VPN (virtual private network) workstations. A VPN workstation is an encrypted tunnel between the user and a remote server operated by an IT service provider. VPN has been popular as a security method to keep organizational and individual information private. Now that N Street was growing and scaling their organization, we felt it was time for them to switch over to a Thin Client system. A thin client is a stateless, fanless desktop terminal that has no hard drive. A thin client has all the features of a standard desktop PC, but information is stored on the IT service provider’s server. Because of their growth, N Street Village needed a cost-effective way to share software, data, and resources between their locations seamlessly. Not only did switching over to a Thin Client give them a cost-effective solution for sharing organizational information between locations, it reduced the amount of hardware on site, which means less time Tim has to spend focusing his energy on technical issues. This attention to detail is what led Tim to emphasize the importance of having us there right from the start. We helped him realize there were other things to consider beyond buying new computers to get the Patricia Handy House ready to serve the community. We still addressed the pressing computer issue, but, that was a short-term fix. By addressing their IT infrastructure as a whole, we came up with a sustainable solution for the long-term growth of N Street Village. Since N Street Village switched over to the Thin Client management system, they have been able to streamline their onboarding process of locations and staff. Now when they make a new hire or expand into a new building, their current hardware and software applications, are ready to go over the network. Switching from the VPN remote server to the Thin Client remote access has given them standardized uniformity in hardware and software across all locations. They can share the same data, regardless of the location within their organization. This strengthens communication between the staff and the women they serve. Tim wears multiple hats as the Director of Operations. He is in charge of their IT, phone, and building systems, construction projects and helps with government grants. Not having to worry about IT systems, means he gets to focus on other matters at N Street Village. It’s not that Tim can’t do it on his own. It’s that he doesn’t have to any longer.